Dynamic Pricing – ML based approach. My blog series examining different use cases for machine learning (ML) generated quite a bit of interest, so we’ve decided to expand its scope beyond a simple three-part series and make it an ongoing section of the blog. For our next use case, let’s look at how ML can help enterprise software companies set prices for their products. Some of my fellow software marketing professionals will disagree, but I believe the most important decision a company can make about a product is its price. Sure, while a product’s feature set or its availability will inform most buyers’ decision-making processes, nothing drives a buyer closer to making a purchase decision about a product than knowing how much it costs. But for companies that don’t make physical products, like enterprise software companies, the pricing question can be particularly challenging. Manufacturers know how much to charge for a physical product based on its bill of materials, inventory on hand, and other factors. But for software vendors, there’s no physical inventory to account for when setting the price, and future costs associated with supporting the product (like fixing software bugs or building security patches) can be difficult to forecast. There are also significant variations between the types of customers buying enterprise software that can affect pricing. For example, consider two businesses in the market for a CRM solution: one is a twelve-person operation serving a small region in the U.S. while the other is an international firm with offices around the world and thousands of employees. The regional customer is the smaller business opportunity because they need fewer seat licenses, but their size also makes it likely their technical and customer support needs will be small. The larger firm is the bigger revenue opportunity initially because it will be buying more seat licenses, but it will also expect more ongoing support from the vendor based on the volume of their business. Their higher support demands need to be accounted for in the quoted price or else what looks like a great business opportunity today could be a costly mistake in the long run. Is the customer using all the product’s features? Is the customer purchasing other products? How long has the customer been a customer? How important is the software to the customer’s ongoing success? Are alternative products available from competitors? If so, what do they cost? This list is by no means exhaustive, but I’d guess just reading these few factors brings to mind several more (if not dozens) for most readers. Which illustrates why ML can be invaluable when it comes to pricing: in a matter of seconds an ML algorithm can take hundreds of factors into consideration when determining what to charge for a seat license and then quote a price that not only makes sense for the customer, but will also make a profit for the software vendor. In today’s fast-paced digital business landscape, the ability to provide pricing quickly can be a significant competitive advantage. 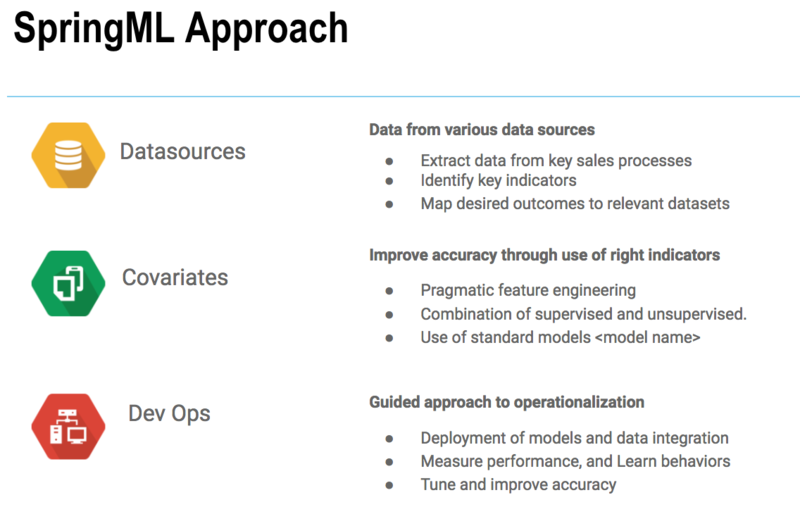 The challenge here is one of data quality; even the most advanced ML algorithms are useless if they’re not using the right data. That means enterprise software vendors need to invest their time and domain expertise up front in identifying the right set of criteria to include in their pricing algorithms. Furthermore, vendors need to invest in a database and data analytics solution, not to mention training their sales force to properly classify, quantify and capture data so the algorithm can make use of it. This is particularly important to get right, as the sales force will not only be the primary source for sales data, they’re also the primary consumers of the pricing algorithm’s analysis. If they believe their ML solution isn’t providing them with good price quotes, they’ll be less inclined to invest the time required to accurately capture sales data about future deals. And without access to quality data, a dynamic pricing algorithm is sure to fail.